Guitar is a fantastically versatile instrument. There are so many different ways to play it as well as a great number of musical styles that are dominated by impressive guitar techniques. Each and every beginning guitar student all the way up to intermediate students quite often are looking to focus on one type of guitar playing, so that they can effectively play the style that they are most attracted to. Below we have listed some of the many types and styles of guitar lessons the Guitar Lesson Expert focuses on. The Guitar Lesson Expert performs in all of these styles, both in live performance and in studio recordings, and has been teaching them all for years. While we have taken the time to isolate many of these styles into individual curriculums, the ambitious guitar student is more than welcome to merge as many of these techniques as desired into their lesson plan. Having a skilled and experienced master teacher sharing all of the techniques of being a great guitarist with you will advance your playing skill faster than anything you can imagine. 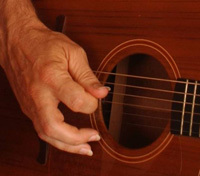 The principle format for lessons is private guitar lessons, one on one. Ask us about group lessons, workshops, and practice playing circles. 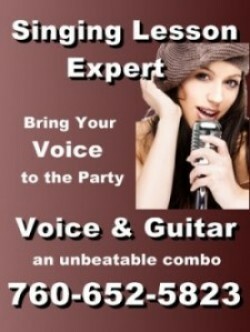 If you live outside the San Diego area, the Guitar Lesson Expert also does lessons via Skype.